Time Banking is a way to give and receive support to build strong communities and networks to the public. One last time helps earns about one hour for the Bank (also called time credits, the balance of the benefit, or $ time). Time banking is based on the magic of “Pay It Forward,” in return, is a good idea leading to another and another. How to earn time credits by doing something for you; No matter what that “something”. In return you earn a time credit in Time bank community. For example, if someone is working for one hour in his garden is similar to one hour of babysitting is similar to one hour of dentistry is similar spending time at home repair is similar to an hour of teaching to play chess. The possibilities are countless for Time banking. The creation of Time Banking is back to the creation of hours TimeBank ™ in 1980, the idea came to Dr. Edgar S. Cahn; co-founder of the National Program of Legal Services, author of “our brother’s keeper,” and founder of the school Antioch right, He suffered a massive heart attack at age of 46; He was in hospital and sickness “feel useless,” he think about Time Bank hours as a unique and ultimately new currency to problem solution of enormous cuts in government expenditures on social welfare. If he does not have enough money to repair the old problems of our country and our society, Edgar thinks, the new way of making money to pay people the work they have done for themselves and societies? A Time Bank hour is all about the value of contributions everyone on the equal basis. Edgar developed his academic definition of why money should work in another way. He returned to the US and started to put service credits (not yet called TimeBank hours) service. . In early years since the currency has come a bouncing ride. After the initial enthusiasm by foundations, funds for trade TimeBank time dried up mid-1990s in the era of problems to keep afloat follow. This clash turned out into a time to dig and determine what made the hours of TimeBank Time Banking and unique tools for social change. In 1997, a convention TimeBank hours helped new groups and survivors identify “what works. TimeBank Hours have become the backbone of a cross – age tutoring program peer success in Chicago, a Maine Time Banks Network, and an hour TimeBank Youth Court in Washington, DC Time Banks USA became the center a small exchange network of independent TimeBank across the country. The deep understanding that has evolved following years towards to unique ways of adopting and talks for hours about TimeBanking as a tool for social change. It is the most important change involved in development of theory of Co -Production described in the book of Edgar, “No More Throw Away People. The idea of time banking was developed at the London School of Economics; by Washington law professor Edgar Cahn in 1986, which describes the idea that working as blood bank or babysitting club help a neighbor and then when you need it a neighbor most likely another will help the system based on equality one hour of help means a dollar of time, if the task is groceries or make a statement the tax credits kept in individual accounts in a “bank” on a personal safety. Credits and debits are counted regularly. Some banks offer monthly balance statements recording the flow of strong relation with banks. Weather in London banking is developing briskly and would not be as successful as it is without the great relationship between time banks. London network meets on regular basis to boost the interest of brokers and others meets to share their experiences and to help each other. We all are very lucky that we would be able to do this; our charitable donors Bridge City is the one whom we have to thank for providing us the opportunities and resources to do so. Challenge met Time banking in Wales in Cardiff and they show their passion in working together. They have a yacht race around the world 72 feet; they rent it with the discrimination of elderly and young people from 12 to 25 years are rented to increase personal and social skills, such as teamwork, communication, respect for others, responsibility in a positive way can – making environment. Up to 12 people can participate in this experience together, which usually consists of 10 young people and two leaders of the group. Wales Challenge six crew on board will show you the ropes and give you the opportunity to sail the boat at all. 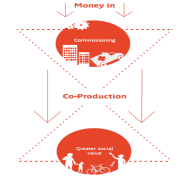 Timebanking UK will establish and appliance a source, free to use the platform to significantly reduce the barriers to entry for the creation, union or local TimeBanks management. Traditionally, the implementation of TimeBanking has been resource intensive, based on a time banking broker match supply and demand in community. UK Timebanking automates this process, reducing costs and barriers for organizations and individuals to establish and maintain a bank of time. Timebanking UK are built on proven open source software timebanking ‘Weaver Community’ developed by TimeBanks US. This software will also open public; private along with community resources and make it easier to add projects timebanking scale. More importantly, promote the rapid scale by sharing time and skills; helping people to connect with one other to build sustainable communities. How do we encourage participation? Two years ago Cheryl Hughes was a mother and housewife in Cardiff South Wales; She lacked confidence and was not sure I could achieve family life outside. She also wanted to buy goodies for your loved ones at times, but struggled financially. When he encountered Credits Timeplace time volunteering scheme, Hughes and his family were involved in the cleanup of the area and helped in community events in return for “time credits” that could be redeemed for holiday trips to the theater and other rewards. Hughes’s confidence grew and started his own local project, community mothers holding coffee mornings where people can take advantage of time to attend credits, access to a library of books and toys and more. “Time credits eyes opened more than take care of my children, who of course I love to do,” says Hughes. “I never thought that will I be able to do anything for my dyslexia .To think this all started with garbage – picking”. From improving mental health to provide a door at work, now accepted wisdom that volunteering can bring many benefits to volunteers and people who are helping. But the rewarding volunteer with anything that has a tangible economic value is direct exchange has regular been controversial. Many people believe that volunteering should only be done altruistically without direct reward. Many were unhappy last year the time it was implied that volunteers receive a discount of municipal taxes. However, the rewards and exchanges are increasingly common and community groups and charities who run them feel they are useful, especially for those who are financially less well off. Time banking, the best known form for volunteers to gain something in return of their time, it has traditionally had a focus on sharing skills – a person may be charged on credit obtained from an hour of volunteer work for an hour taught how to play guitar, for example. Weather banker Ian Toplis, Gloucester, said it would be unlikely to volunteer and non-profit and incentives. “I really hate gardening and the main reason is that I can do something for someone and I have done my garden is a great incentive,” says Toplis. “I helped many of the elderly residents during digital conversion. I am out of the opinion that there are many people out there for example like me who have something to offer, but need an external drive and an extra incentive.”Similar systems around the UK include your courage, Smartran Weather Miles rewards, and the Bank of attention. Community volunteer projects and have their way of either rewarding volunteers or exchange something with them. The draft community red brick building in Glastonbury all residents get cheap and event space desk but it offers their time to support local vulnerable people as part of the agreement. Voluntary schemes can see in action all over the world, too. Reward Volunteers 5.0 in the US and GEM project in South Africa both use mobile applications for volunteers to sign and hours of trade. In Japan, volunteers can deposit hours in order to cash in later life, when they could be less mobile and need help. A two-year evaluation by Spice launched last December found out that 45% of volunteers using time credits had never offered before. “It does attract new volunteers and we need massive volunteer if we are to create local services,” says Becky Booth, chief executive of social enterprise. Time Banking UK chief executive Sarah Bird believes that such systems are the future of communities and looked at favorably by the commissioners. “We’re getting a lot of interest from local authorities they are interested to talk on time banks. Some have even become centers of volunteer time banking; we have a strong feelings that this is an excellent way to co-produce community services for the future” she says. How do we evaluate effectiveness? Time banking UK to explain how they work: “Participants” deposit “of his time on the bench giving practical help and supports each other and are able to” withdraw “their time when they need something done by themselves as banks and Time. The value of all the different types of assistance and skills people can offer each other on a bench in time, every individual becomes at same time giver and a receiver time everyone is valued equally. An hour = 1 time credit. "Time Banking in the UK." UKEssays.com. 11 2018. All Answers Ltd. 04 2019 <https://www.ukessays.com/essays/economics/what-is-time-banking.php?vref=1>. "Time Banking in the UK." All Answers Ltd. ukessays.com, November 2018. Web. 20 April 2019. <https://www.ukessays.com/essays/economics/what-is-time-banking.php?vref=1>. UKEssays. November 2018. Time Banking in the UK. [online]. Available from: https://www.ukessays.com/essays/economics/what-is-time-banking.php?vref=1 [Accessed 20 April 2019]. UKEssays. Time Banking in the UK [Internet]. November 2018. [Accessed 20 April 2019]; Available from: https://www.ukessays.com/essays/economics/what-is-time-banking.php?vref=1.